This month the eViralHepatitis Review from Johns Hopkins University devoted a whole issue to Extrahepatic Manifestations of Hepatitis C: Screening and Management, which you can read about and access via our Weekly.Bull. 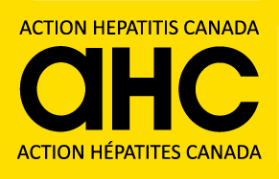 As well lawyers representing some of the more than 500 victims in the pre-1986/post-1990 Hepatitis-C settlement group filed a submission last week in Vancouver requesting that the courts of Ontario, Québec and British Columbia address a $65 million shortfall in their settlement fund. Read about a new clinical trial from AbbVie, HCC risk and selenium, the latest on the compensation fund, HepC rates in Nova Scotia, the Chinese Health Fair and the Lifestyle 55+ Show in Vancouver. On Tuesday September 13, 2016 HepCBC held its annual general meeting (AGM), and we are pleased to announce the election of new and returning directors to the board. There is a LOT of LIVED EXPERIENCE in this group of dedicated volunteers. We are excited about the new possibilities for advocacy and action these new voices will bring to HepCBC. One of the most difficult things an HCV advocate has to face is what to say to people who desperately want to be treated but have been denied treatment, either because the severity of their liver disease is not deemed great enough, or they just can’t afford it.